The Academic State Union of Universities, ASUU, yesterday, received the certificate of operation for Nigerian University Pension Management Company, NUPEMCO, from National Pension Commission, the regulatory agency for the country’s pension companies. 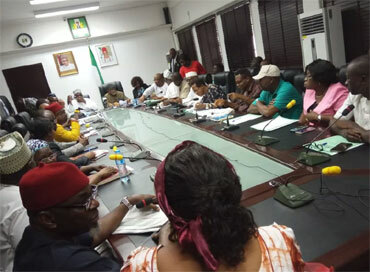 The refusal of the regulatory agency to approve the teachers’ union’s pension commission for operation was one of the major issues in the dispute between ASUU and the Federal Government. But President of ASUU, Prof. Biodun Ogunyemi, in a short message sent across to members of the union, yesterday, said ASUU received the certificate at about 11:20 a.m.
Ogunyemi thanked members of the union for standing solidly behind the leadership while the struggle lasted, pledging the union’s commitment to achieving reform in the Nigerian university system. Prof. Ogunyemi had earlier told the News Agency of Nigeria that the leadership was still consulting with its members over offers made by the federal government. According to him, the government made some offers in the course of meetings with ASUU, which are still being deliberated on. “We are still consulting with our chapters across the country. There are promises that government made and we are trying to consult with the various university chapters on the options before the union.